Britain's Queen Elizabeth II and Meghan, the Duchess of Sussex, left, attend the opening of the new Mersey Gateway Bridge, in Widnes, north west England, Thursday June 14, 2018. 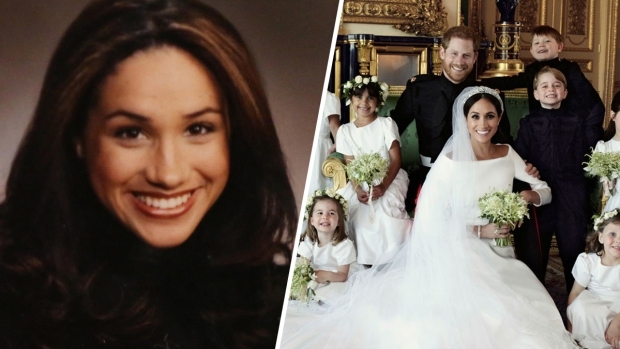 The former Meghan Markle is making her first joint appearance with Queen Elizabeth II on an official royal visit to the northwest of England. 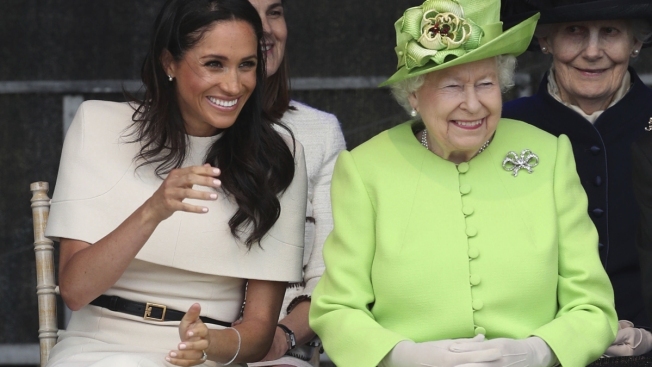 The queen and the Duchess of Sussex, as Markle is now known, traveled by a special royal train for a series of events Thursday. Their first stop featured a performance by local schoolchildren in the town of Widnes, near Liverpool. The duchess, who wore a beige Givenchy pencil dress, sat next to the queen for the performance. It will be followed by events including the unveiling of a plaque to officially open the Mersey Gateway Bridge. 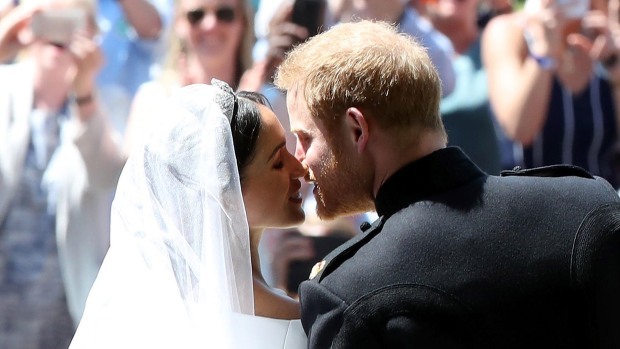 The duchess, a former actress on the TV show "Suits," is easing into royal duties after marrying Prince Harry last month.